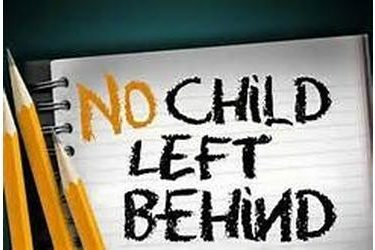 Kansas has received a one-year extension of a waiver that gives it more flexibility in meeting some of the provisions of the federal No Child Left Behind education law. The U.S. Department of Education also granted an extension Thursday to Indiana. Kansas first was granted a waiver in 2012, but was told last August it was at "high risk" of losing it because the state hadn’t taken enough steps to use student achievement data as part of teacher evaluations. The Kansas Department of Elementary and Secondary Education says education evaluation systems will incorporate the student data as a "significant" factor this year. But those student growth measures will not be used to make personnel decisions until the 2017-18 school year. Federal education officials say Oklahoma’s public school standards aren’t sufficiently preparing students for college or careers and will pull a waiver that lets the state bypass some provisions of the No Child Left Behind Act. The U.S. Department of Education sent a letter to the state Thursday saying that while Oklahoma had benefited from the flexibility, it couldn’t justify an extension. Assistant Education Secretary Deborah Delisle said Oklahoma had promised to carry out plans to improve education for all students. This year, however, Oklahoma overturned its Common Core standards and adopted those in place in 2010. Delisle told Oklahoma offiicials they "can no longer demonstrate that the state’s standards are college- and career-ready standards."